Click here to order your Swedish driver’s licence translation online – REALLY FAST! 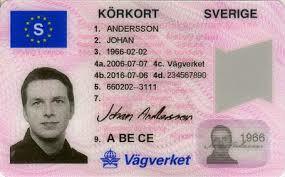 If you have come to this page, you are probably looking to translate your Swedish driver’s licence into English. You are also probably already in Australia (or looking to come soon!) and probably looking into translating your Swedish licence into English so that you can drive a car or vehicle whilst you are travelling in Australia on a holiday? Maybe you’re doing a road-trip down the east coast of Australia. Does this sound like you? If so, then you have come to the right place. Our team of Swedish translators are professional NAATI accredited translators who can translate your Swedish driver’s licence into English – fully NAATI certified and acceptable for use in Australia. Our Swedish translator’s can translate your licence from Swedish into English for an exclusive online price from $69.00 per licence! Rest assured, you can use the translation of the Swedish driver’s licence that we provide to rent a car or drive a car whilst in Australia because our translation is 100% NAATI accredited and certified. This means that you just need to keep the English translation that we provide you on you whilst you are driving. If a police officer asks to see your licence, simply show them the English translation. They may also ask to see your original Swedish driver’s licence. Does it take much time to have my Swedish licence translated into English? No – it doesn’t have to! Urgent option – AUD $138 – Digital copy via email within 24 hours (usually same day). Hard copy posted by Express Post. Regular option – AUD $69 – Digital copy via email within 2-3 business days. Hard copy posted by Regular Post. Once we receive your approval of the translation, we send a NAATI certified copy by email and post the hard copy to you. See what some of our happy Swedish clients are saying! Please thank your Swedish translator for the fast translation you provided for me. I am so happy that I do not have to worry about this anymore and now I can prepare for our travels from Sydney to Cairns! I will recommend this Swedish licence translation service to my friends back home. Thank you so much! I can’t believe how simple it was to use your website to get my Swedish driver’s licence translated into English. The email copy was sent to me within 4 hours and the copy in mail arrived the next day! Incredible – thank you. Some of the reasons why we LOVE Sweden! A balanced lifestyle! Swedes have got their work/life balance right! Swedish design! We are seeing so many Swedish-inspired design choices for furtniture and housing designs – they look great!